Read what living Apostles wrote about Jesus Christ: “He is the light, the life, and the hope of the world. His way is the path that leads to happiness in this life and eternal life in the world to come” (“The Living Christ: The Testimony of the Apostles,” Liahona and Ensign, Apr. 2000, 2–3). Read the story “Because He Lives” on page 65. 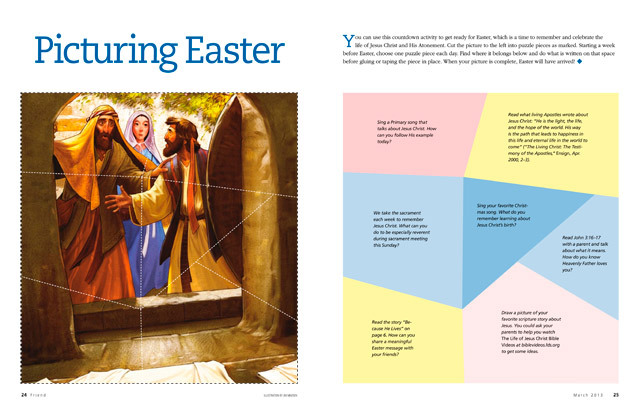 How can you share a meaningful Easter message with your friends?